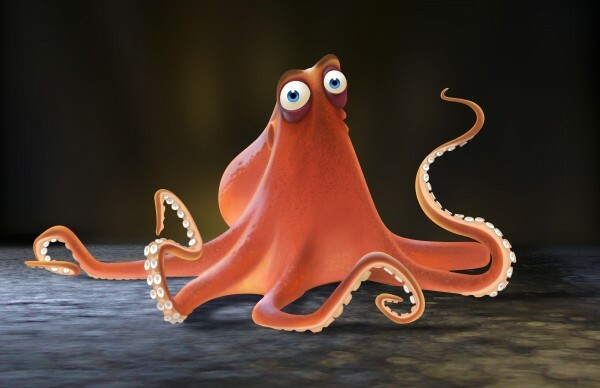 It’s a sequel 13 years in the making and today, Disney and Pixar have shed light on the creative process behind Andrew Stanton’s animated sequel, Finding Dory. Set for release in June of this year, today brings forth a gallery of concept art for the film, which includes some truly beautiful, dream-like artwork depicting the underwater adventure in store. With Nemo found and home safe, Andrew Stanton’s sequel will turn the tide to focus on Ellen DeGeneres’ clumsy fish, Dory. Settling into life under the sea with her new clownfish family, Marlin and Nemo – voiced here by the returning Albert Brooks and Hayden Rolence, respectively, with the latter replacing Alexander Gould from the 2003 original – Finding Dory will see Pixar’s loveable mascot plot course to find her true parents. More than a decade may have lapsed since Finding Nemo released, but Pixar’s sequel will pick up six months after the fact. Joining DeGeneres et al. for the aquatic are newcomers Dominic West and Idris Elba, paving the way for a mini The Wire reunion. Also starring Diane Keaton, Willem Dafoe, Dominic West, Kaitlin Olson, Ty Burrell, Diane Keaton, Ed O’Neill, Eugene Levy, Idris Elba and Michael Sheen, Finding Dory will make a beeline for theaters on June 17.